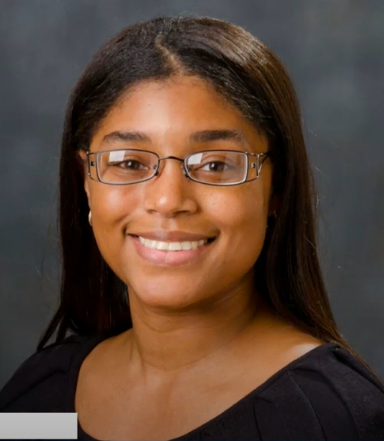 KALB.com News: VIDEO -- Interview with abortionist Rashonda Dean. Dean says she does not plan to perform abortions in Alexandria, LA. Deanz Medical Corp & Deanz Healthcare for Women -- Rashonda Dean, MD, is officer/board member. 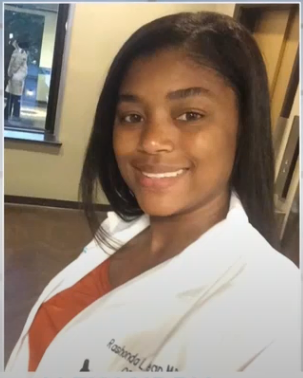 Louisana medical license profile for Rashonda Lanell Dean, MD. 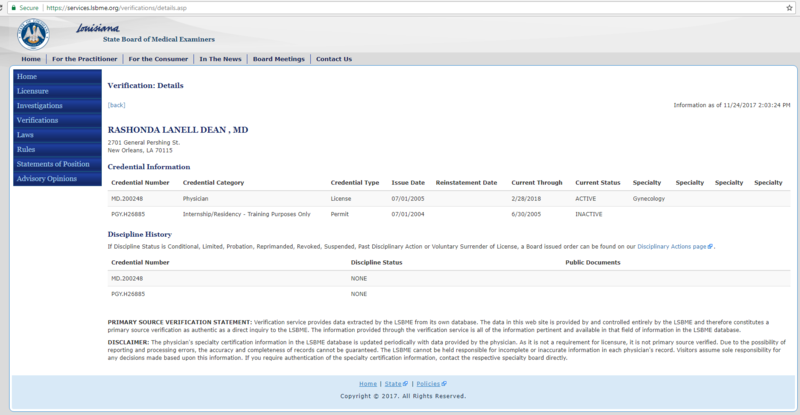 Louisiana corporate registration, revoked 2011; Vice-President was Rashonda Dean, MD. 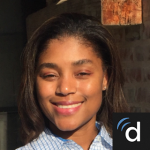 Louisiana corporate registration 2018 - Officer Rashonda Dean, MD. Abortionist Rashonda Dean has applied for a permit to open a new abortion clinic at 5437 Crowder Blvd in New Orleans. Medical Students for Choice article. Abortion provider Rashonda Dean speaks at Tulane University on her abortionist career. Dean performs abortions up to 19 weeks, and 4 days gestation. Yahoo.com listing for abortionist Rashonda Dean at the Delta Clinic in Baton Rouge, LA. Superpages.com listing for abortionist Rashonda Dean at the Delta Clinic in Baton Rouge, LA. 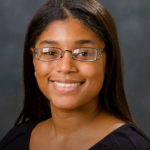 Profile for Rashonda Dean, MD, at Health.USNews.com. Abortionist Rashonda Dean may open a new abortion clinic in a building she purchased. See tax assessor document for purchase details. Tax assessor info for building at 1275 Bonaire Trace, Alexandria, LA, purchased by abortionist Rashonda Dean on Jan 9, 2018. Dean may use the location as a future abortion clinic. See news articles above.